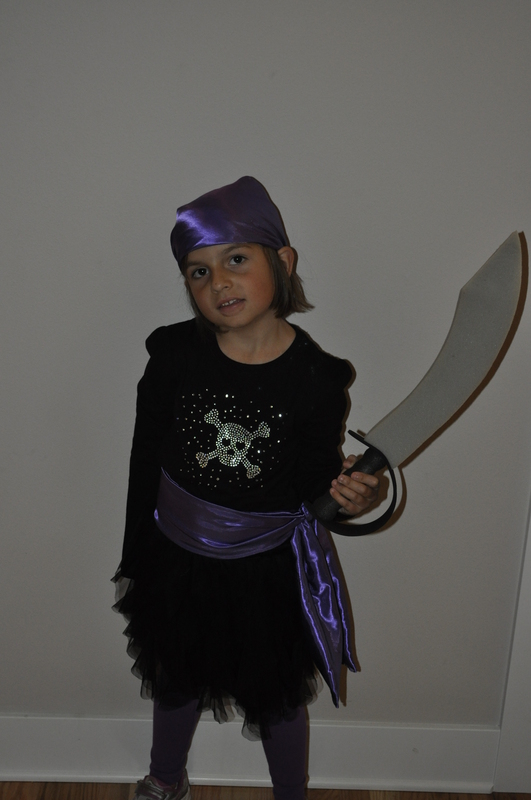 I think we have a bit of a Halloween tradition started. Last year looked a lot like this year. 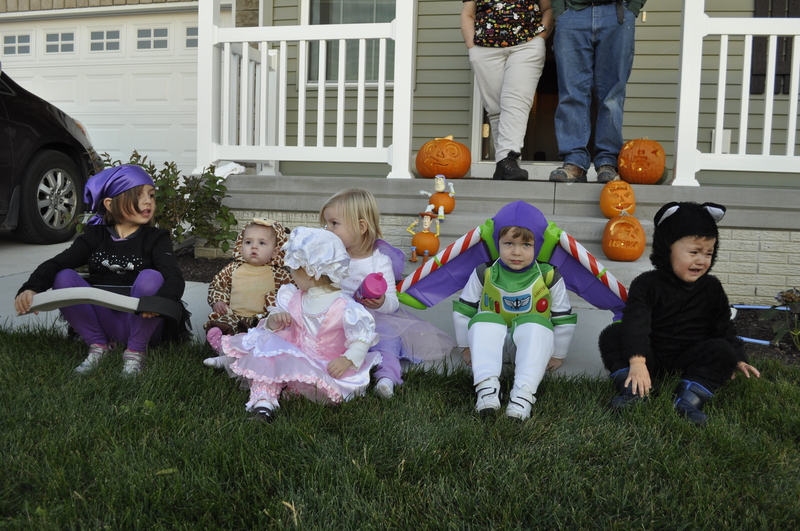 Lots of family around to enjoy dinner, hand out candy and walk the kids around the block. We had a great time with our family and our neighbors! 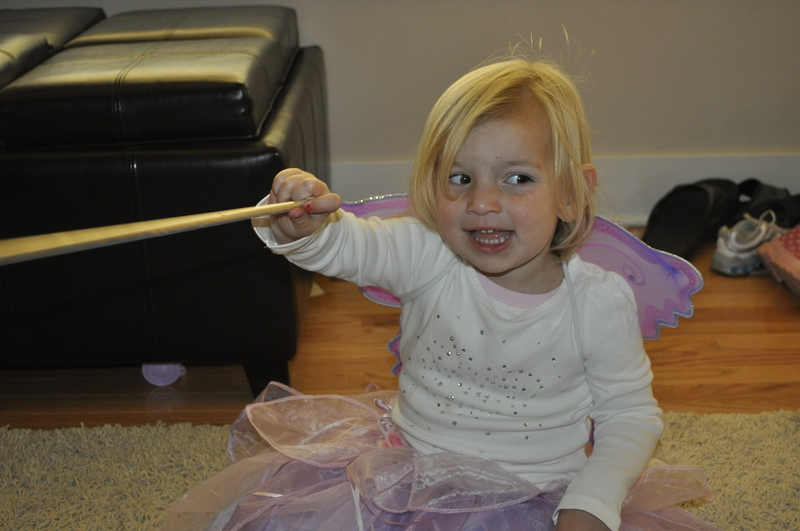 Thea ran up and down the street saying, “I have a beautiful wand!” as she swung her wand back and forth. She loved being a fairy! Leila, Mabel, Veda, Thea, Sawyer and Quincy the not so happy kitty cat.